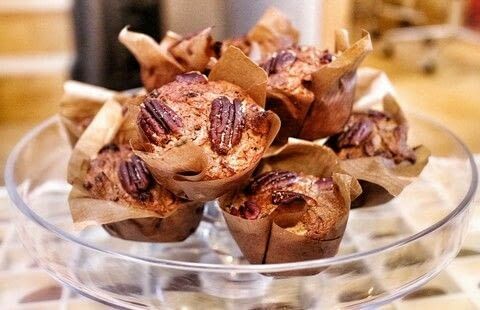 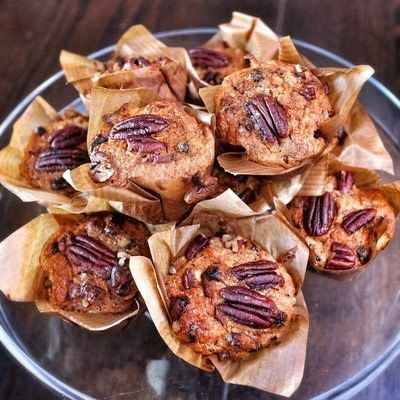 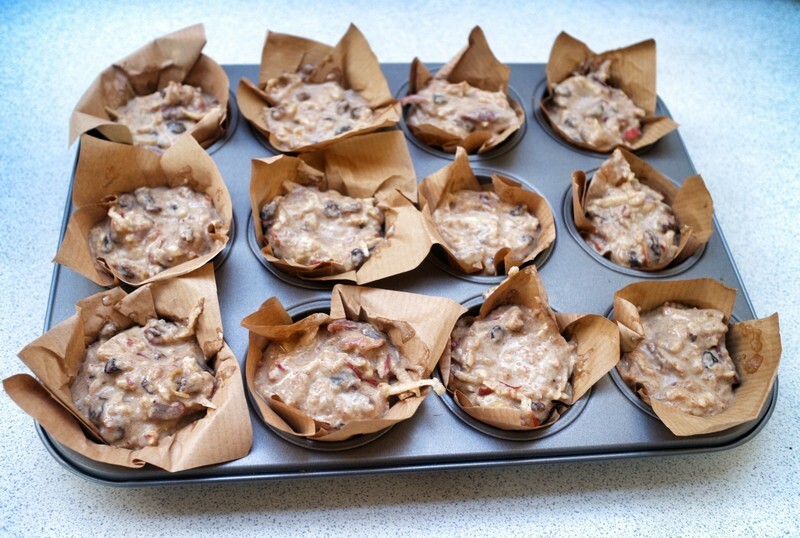 Super tasty cinnamon, apple and pecan muffins. 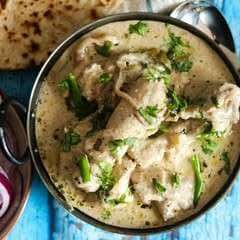 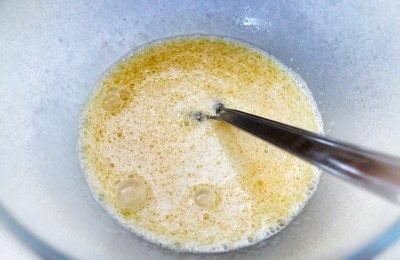 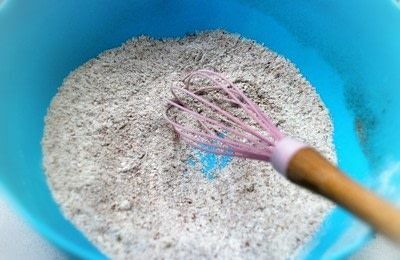 Whisk together the plain flour, whole wheat flour, brown sugar, cinnamon, baking powder and salt. 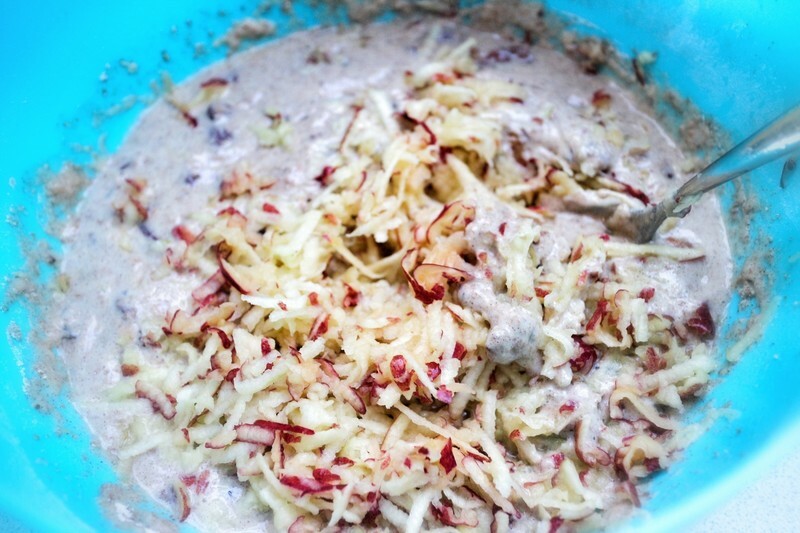 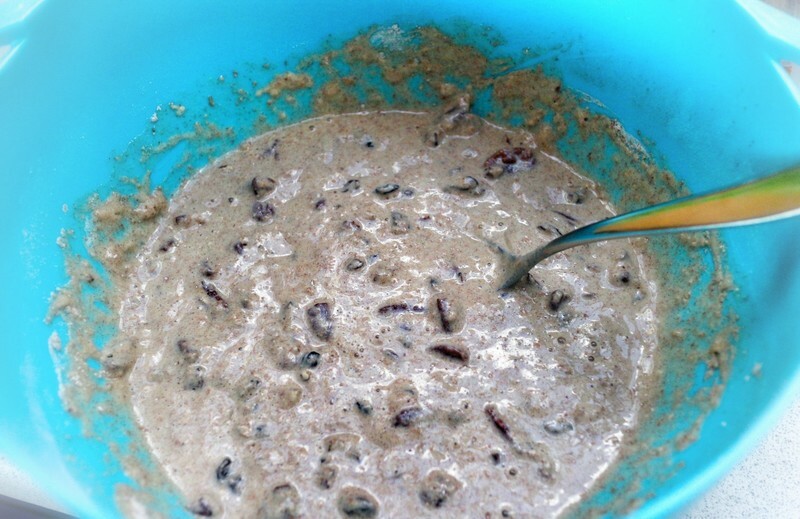 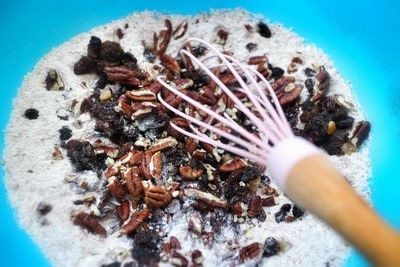 Mix in the dried fruit and 50g of the pecan nuts. Grate the apples into the batter. 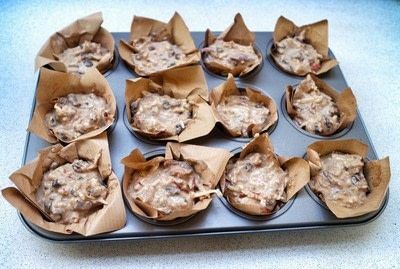 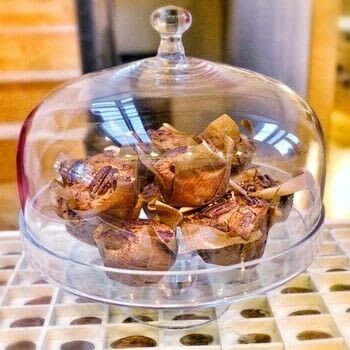 Line a muffin tin with parchment paper cases and fill with each batter. 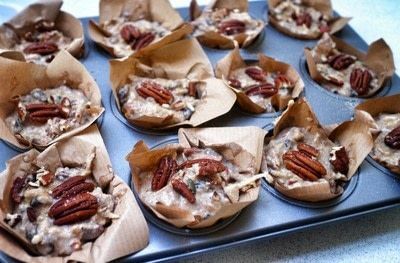 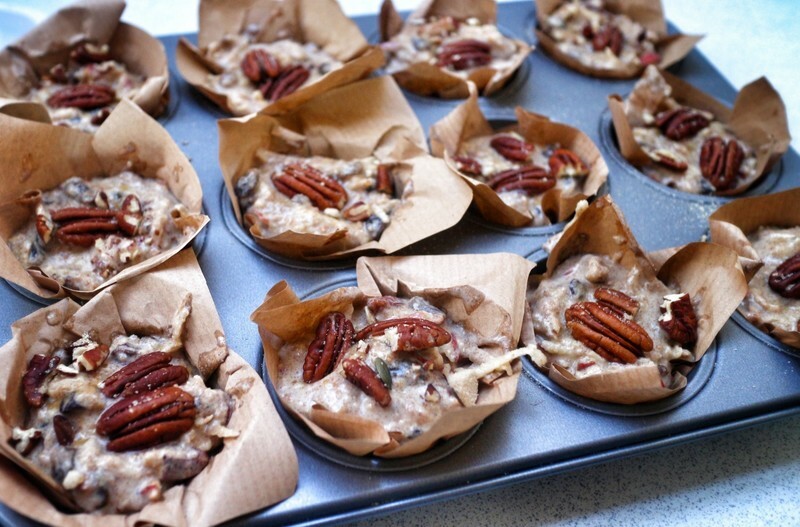 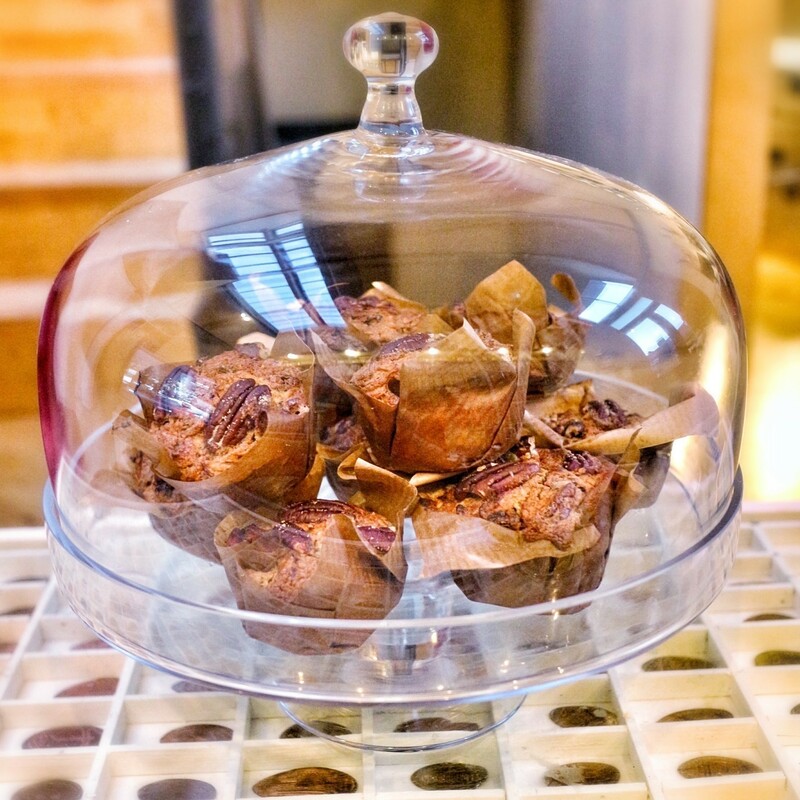 Sprinkle the top of each muffin with brown sugar and top with the remaining pecan nuts. Bake in the oven set to 200'C for 30 minutes until golden.